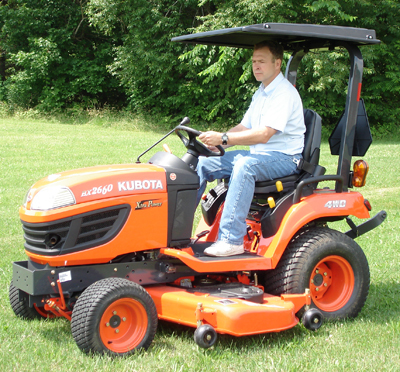 ABS plastic hard top canopy mounts to your ROPS. After initial installation, canopy can be removed quickly without tools. The canopy frames are constructed from 16 gauge powder coated steel. 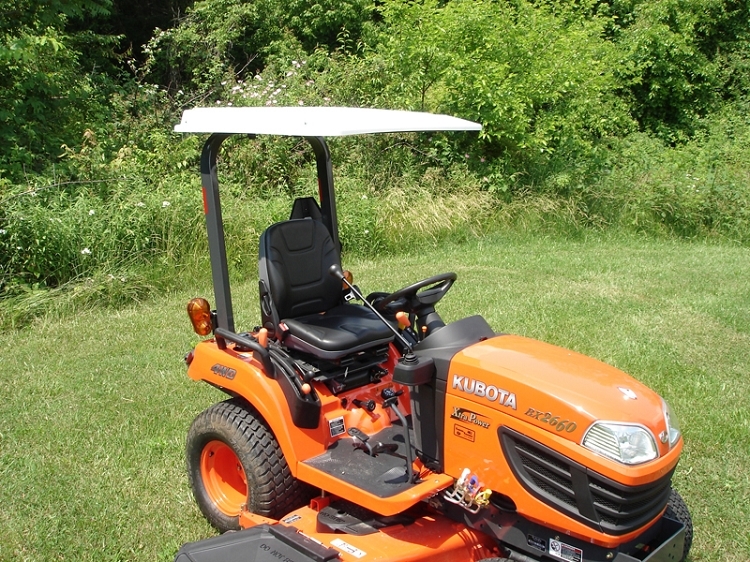 The Sunshade clamps to your rops, meaning NO HOLES TO DRILL.